With Wednesday 4 January 2012 fast approaching, hundreds of thousands of 2011 matriculants are anxiously waiting for their final results to be revealed. Last year we predicted we’d see an increase in the overall matric pass-rate despite the disruptive public servant strike and it is therefore too much of a temptation to resist the urge to stick our neck out once more and see if we can call it right again this year. So, although part of this is fun, we must warn you if you’re still in holiday mode that most of this still makes for thoroughly depressing reading (except for the IkamvaYouth results of course which will make you smile). The first prediction (and one we make with a reasonable degree of confidence based on 5 years of consistently good results) is that Ikamvanites will once again excel despite the incredible obstacles they encounter in their schooling careers. The IkamvaYouth Matric group will once again be an inspiring example of a group of township-based individuals taking their futures into their hands though hard work, collaboration, dedication and commitment. As a result, many more township school learners will access quality post-school opportunities and many more will return to IkamvaYouth as volunteers to help others do the same. The second prediction (and this is once again mostly a hunch) is that, at worst, the overall matric pass-rate will stay roughly the same but is likely to improve by a percentage point or two or more. There are a number of reasons for this, not least of which is that the department is getting better at teaching matriculants to write exams (the merits of which is highly debatable) but perhaps most significantly there are very nearly 50 000 fewer fulltime learners writing matric this year than last year. Yes, thats right, FIFTY THOUSAND!!! The mind boggles and it seems the best answer to the question of where these learners have disappeared to is, “Goodness knows”. Straight into thin air it would appear. There is, however, one possible answer (albeit somewhat cynical) in that this is really a bit of a pattern. There is more than enough evidence in the township schools that IkamvaYouth works with to suggest that these schools routinely inflate their matric results by excluding learners from matric if it appears they are unlikely to pass their final exams. As a case in point: at School A, nearby our Gauteng IkamvaYouth branch, 400 learners are accepted into Grade 8 to begin their high school careers but only 134 learners make it to write their matric exams (and of these just over 50% pass each year). Or, worse, at School B, also very near our Gauteng branch, 350 learners start Grade 8 but only 90 learners make it to matric and of these only 62% pass each year. Nationally, the situation is even worse. Approximately 1 million learners start Grade 1 around the country each year but only 512 000 full-time learners registered to write matric in 2011. So, even though the class of 2011 is likely to achieve close to a 70% matric pass rate, the real matric pass-rate is actually 38%. Now if that doesn’t spoil your holiday mood then nothing will. Or wait, we could also go further to consider the stupendous tertiary level drop-out rate (roughly 2 out of every 3 students fail to complete their degree) or the FET pass rate (between 10-12%) but the true magnitude of this would probably cause our brains to melt or explode. All of which is fuel for Jay Naidoo’s prediction of an SA “Egyptian moment“. The bottom line is that in 2011 we have continued to shuffle deck-chairs while the titanic is sinking – no wait, SUNK – the SA schooling titanic has never ever actually been sea worthy and we’re doing ourselves a massive disservice to assume that it has (outside of former model-C or private schools of course). We really have to stop asking the salvage question that goes, “How do we fix education in South Africa?” and instead take a step further backwards and ask the desperately more urgent question “How do we make it fixable?” because right now it isn’t fixable and it isn’t working for 73% of South Africa’s youth. While IkamvaYouth offers part of a solution it remains only a small part and making the inroads we so urgently need is not something that a handfull of NGOs and individuals can achieve on their own. We can however start in the meantime. All of us who have been priviledged to receive a decent education can make a real, lasting and tangible difference in an individual’s life by investing in their education (and time is at least as good as money). There is no better moment to start than now. We’ll even send you all the pointers you need to get started if you just drop us an email. As for this Wednesday 4 January 2012, on the one hand we will wildly celebrate the SUCCESS of our amazing Ikamvanites, yet at the same time, we will continue to be moved by the annual loss of learners who leave school with limited future prospects and be inspired to do all that we can for as many as we can each year. Why don’t you join us in 2012 if you haven’t done so already? Want to make a difference or help us expand? Then sponsor a learner or IkamvaYouth branch today? Or Volunteer. December 16th. It’s a public holiday in South Africa – Day of Reconciliation. It’s also holiday time, and the streets of Makhaza are filled with people making ready for their Christmas festivities or their annual pilgrimage to the Eastern Cape. The small children are playing in the streets, the older kids are heading to the beaches, but seven of Makhaza’s inhabitants get up this morning and go to the office. These seven remarkable individuals (pictured below) are part of a very exciting project called Khan Academy. With a library of over 2,700 videos covering everything from arithmetic to physics, finance, and history and 253 practice exercises, Khan Academy is on a mission to help you learn what you want, when you want, at your own pace (www.khanacademy.org). 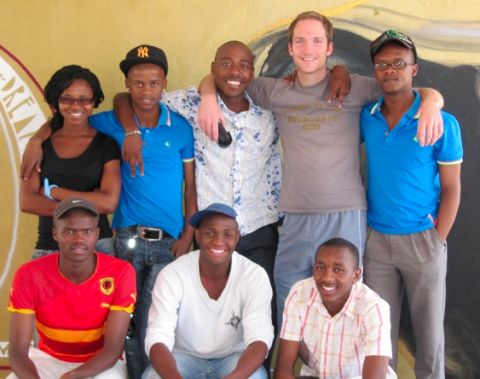 This team, however, has a more specific goal: To translate the Khan Academy videos into Xhosa. At present, the videos are being subtitled into 47 different languages around the world in a Wikipedia-style open collaboration. Of these 47, 16 are in the process of being dubbed. The reason? Khan Academy is not truly open to the world until it has been translated into the languages that make it accessible to the world. When scouting about for a name for the translation project, we discovered that Xhosa is the only official language on the globe that begins with an ‘X’. It followed naturally that we name the operation “Project X”. This is the name that has stuck, and Project X is now well and truly under way. It is a momentous task, but our translators have so far shown themselves to be up to the challenge. In the space of just two weeks, they have fully translated and edited the first 40 videos, which address topics in arithmetic. This equates to roughly 8000 lines of Xhosa, or 64,000 words. The videos are translated by individuals and then edited as a group to gain maximum simplicity and clarity in the translation. The goal for December is to complete the Arithmetic and Pre-Algebra playlists – two of the three core sets of videos in the Khan Academy math library. So far the team is well on track. 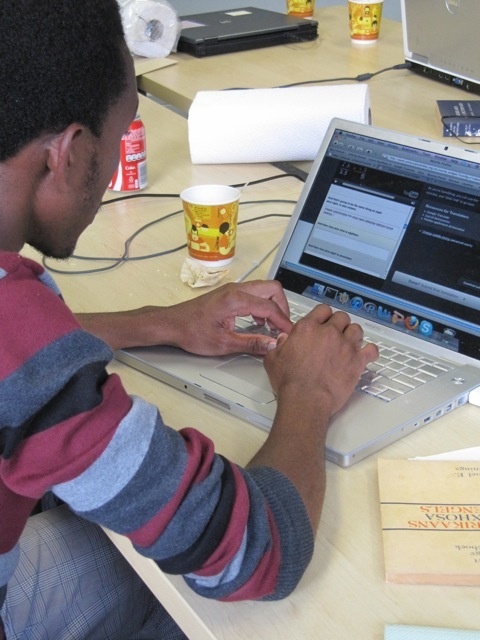 Project X is not only about bringing Khan Academy to the seven million Xhosa speakers in South Africa. It is also about leading the way for other African countries and language groups to follow suit. At present, Xhosa is one of only two African languages into which the videos are being translated – the other being Swahili. Ironically, while of all the continents Africa has perhaps the greatest need for learning tools like this, it is also the continent that has the lowest Khan Academy penetration. Project X is one way we are trying to rectify this imbalance. If you are interested in getting involved with Project X, or setting up a parallel project for another language group, please contact Andrew by email on andreweinhorn@gmail.com. 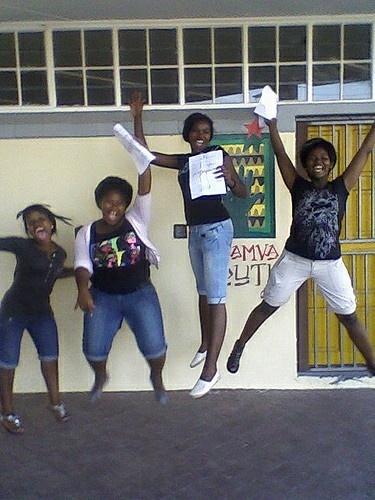 Matric Results out January 4th! IkamvaYouth is offering you a unique opportunity to join us at one of 5 branches across South Africa on the morning of 4th January from 11am, when the matric results are announced. Watch the action unfold with IkamvaYouth staff, volunteers, parents and learners. Witness what we hope to be another matric miracle. IkamvaYouth is a youth-led educational NGO striving to redress the inequalities and inadequacies that exist in the South African education system. 5 core programmes are offered after-school and on Saturday mornings to hardworking, committed high school youth all over South Africa. In a country where less than 10% of all youth access tertiary education (SAIRR study, 2009), and 41.6% of 18-24 year olds are not in education/training or employment (CHET,2009), IkamvaYouth is constantly battling against the odds. However, since its inception in 2003 IkamvaYouth has enabled more than 400 learners from disadvantaged backgrounds to complete high school and have continually achieved un-expected results. IkamvaYouth’s matric classes have achieved pass rates of between 87 and 100% each year since 2005. More than 70% of the last three grade 12 groups have gained access to tertiary education compared to a township average of approximately 5%. In 2011 there have been a number of setbacks and problems that have threatened to throw learners off course, yet they have persevered throughout the year and will gather on the 4th January to see if it pays off and if the Ikamvanites once again exceed their own and society’s expectations. These results determine the futures of these young people. Without a matric pass learners are less likely to access employment and if they do so they will on average earn 5 times less than their graduated peers. Passing matric is the first step for learners on the path to further study, employment and for those from disadvantaged backgrounds it is a rare chance to lift themselves out of poverty. This is the moment we see if it is possible for the matrics of 2011 to succeed when everything is pointed against them. We look forward to having you there to speak to learners, volunteers and staff, as the action happens. Please note that IkamvaYouth is closed from 16 Dec – 4 Jan. Happy Holidays! Each category was playfully represented by famous cartoon characters such as Shrek and Boondocks and iKamvanite Shelton Chadya cleaned house with prizes and awards, accepting them with inspirational words filled with gratitude, humility and memoirs into the journey he travelled with IkamvaYouth Ivory Park. The tutor awards were in collaboration with the cartoon characters theme for the day who epitomized a category value. 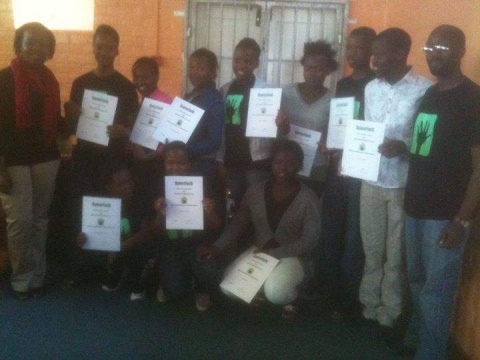 The tutoring department also handed out awards in recognition of the individual efforts made by tutors at Ikamva. Those awards were “Soul Provider” to volunteers Samuel Suttner and Nthabiseng Mokoena, who have dedicated their efforts to starting up an Ikamva library with book and shelving donations. Kihisha Suleman was recognized for her hard work in co-ordinating the Career guidance and mentoring efforts and was also awarded the “Die-Hard” award for being the longest-standing tutor to date. Other awards handed out were for Most dedicated tutor and Stamp of approval. In addition, the University of the Witwatersrand commended all volunteers from the university for being part of the Wits Volunteers’ Programme (WVP). The learners and tutors were commended with amazing prizes. A BIG shout out to those who sponsored prizes: Jetline Wits, Ninos, Spur, Linobe Productions, 7-Eleven, Albeit, Wits Stationers and Wits Cellulars. Together with great entertainment from our very own idols and poets, the event left everyone inspired with a complete sense of achievement and ready to grab the future! Editors note: A big shout out also to Kihisha and Talent who organised the event including the prizes, certificates and the presentations. Awesome day well spent and an excellent way to bring an end to a busy year. 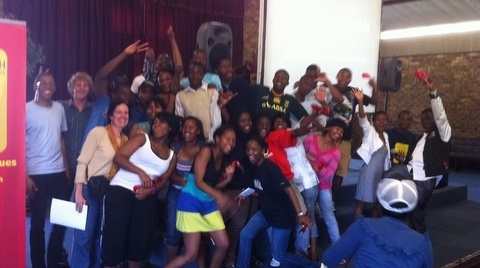 On the 3rd of December 2011 the Nyanga Branch celebrated Prize Giving and Year End with our learners, tutors, parents, partners and colleagues from KZN, Makhaza and the Gauteng Branch. Nombuyiselo, Branch Coordinator, openend the event with a speech about her experiences with IkamvaYouth, in particular the Nyanga Branch, and mentioned different people who have assisted the Nyanga Branch to be where it is today, regardless of the challenges it has faced. After that, our Director Joy spoke about IkamvaYouth, how it was founded and her experience with the Nyanga Branch, where she also motivated the learners of the Nyanga Branch and encouraged the grade 12s to become volunteer tutors next year. The speeches where followed by giving Awards and Prizes to different kids: Most improved learners, learners with the highest attendance, Learner of the Year and Tutor of the Year. 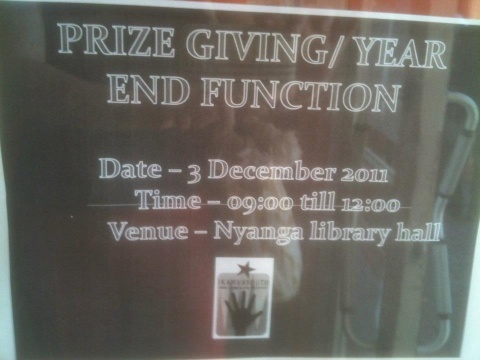 This was accompanied by prizes from Capitec and support from the Nyanga Library. Yonelisa and Modjadji (from Gauteng-Branch) entertained us with self-written poems and we finished this nice event with some music and refreshments! Thanks a lot to everyone who helped to make the day a success! And: Learners and Tutors, you guys worked so hard; we are proud of you!! !